Digital marketing has taken on a sharp turn; one that has seen video marketing propelled to the center-stage alongside other highly converting options such as content and email marketing. Some reports indicate using a product video on your landing can increase your conversion rate by up to 80%. 80%!! No matter how you slice it, that is an excellent ROI. So why not consider drone videography for your marketing strategy? There was a time when promotional aerial videography required a company to hire both a film crew and a manned helicopter. This entire endeavor was far too expensive for small business owners. The price tag associated with it was even pricier than most Fortune 500 companies would consider, regardless of how much money they have in their marketing budget. But ever since drones were invented and put to beneficial use, aerial videography has become so easy, affordable and for the most part, more effective. All you would need now is a multi-rotor drone equipped with the right video making equipment, and you have the best aerial shots for your video marketing purposes. Here are some of the benefits that come with UAV aerial videography for your business in 2018. This is particularly true for those in the real estate market. If you want to show your clients exactly how the property looks; the true size, shape and layout, there is no better way than shooting an aerial drone video. Yes, it can be argued that you could simply take the clients on a walk-through of the property for them to get that sort of appreciation. But what about your international clients who cannot travel to the location on a whim? Do you trust that the images you have on your website will be enough to persuade them to buy? Of course not! But if you had an aerial video of the entire property: one showing them how it all looks in real life, they might very well feel like they have taken an actual walk-through tour. Videos that present the viewer with a bird’s eye view are becoming more popular and more common. Statistics show that the more common these videos will be in the marketing spectrum, the more likely they are to be considered an industry standard. 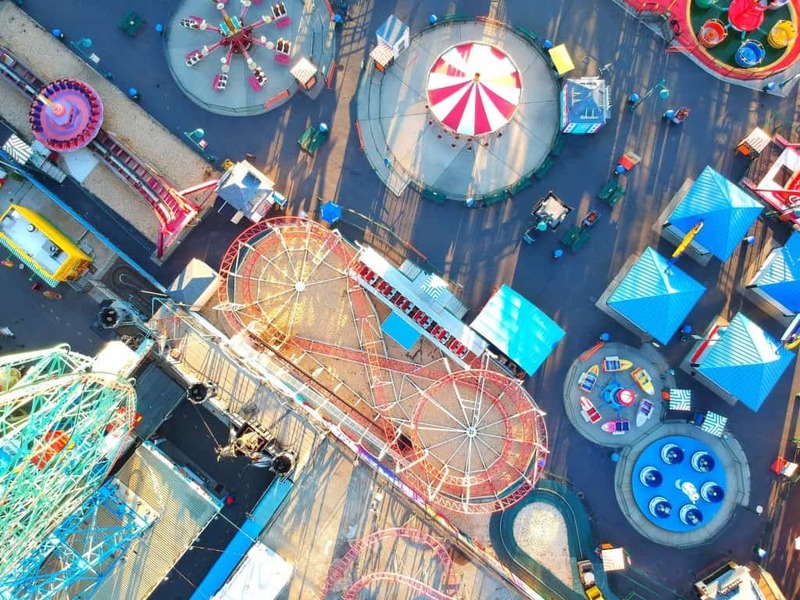 This means that if you want your business or brand to be considered forward thinking and ahead of the curve, then you will have to provide your clients with excellently shot aerial videos. Your clients expect it of you, and anything short of that will be a disappointment that may lead to their considering your competition as a better alternative. These are all things that can lead to more sales as well as better brand awareness. You can create more exciting and dramatic videos using aerial shots from drones than you can with a grounded film crew. Using aerial drone videos shows your customer base that you are knowledgeable in exciting and new video marketing methods and this gives you an edge over your competition. Once your customers see how capable you are in a technical and technological sense, they will have a bit more faith and trust in your product. Marketing is all about providing your customers with what they need. As already mentioned, aerial video shots used to be extremely costly. The fact that you need them to capture the attention of your potential customers does not change just because the endeavor is costly. But with drone videography, the cost of producing excellently detailed aerial videos has gone down considerably. Now even small business owners with a modest marketing budget can afford to produce top-notch videos that compete with the big brand names in the same industry. This has helped level the playing field and provide every business owner with an equal opportunity to capture the market. Provided they make the right kind of aerial marketing videos. Google loves videos (why do you think they went and bought YouTube?) Okay, maybe that was all about the returns. But in SEO terms, having a video on your landing pages increase the time people spend on those pages thus signaling to Google bots that your site has good content. This will help you rank higher in your own niche and for your specific keywords. If you can create compelling marketing videos with your drone and then optimize those videos for search, you will have taken two massive steps in your search engine optimization efforts that have the potential for a significant payout. The fact that using marketing videos on your platform is beneficial to both your brand and your customers is not in question. All that is left now is for business owners to find a way to create the most compelling, informative and captivating videos they can. Aerial drone videos are a wonderful way to achieve all that and more. With the right drone videography, you can easily blow the competition out of the air, so to speak.